Let’s admit this. A business cannot operate without content. Content is the endocrine system that decides the fate of your business. No exaggeration. Content is what makes your company a brand. Pick any big name and you know about it because of the reach the company has had. This kind of outreach is a product of spectacular content the brand has managed to create. But creating compelling content isn’t an easy affair. It is a lot of hard work. And if you are looking to create content for your business or for your client, follow these 5 essential strategies to make your content evergreen. The word “real” instantly makes anything come alive. Generic content is found everywhere. If you want to make your content an experience, it has to be unique and individualized. To make it unique, use excerpts from your own business interactions. Talk about events that occurred between you and your clients. Narrate de facto episodes and instances in your content. There is a very high chance of your prospects accepting you because of the real experience you bring to their table – which means better connections leading to higher conversions. You can bring your negative experiences and present them as valuable lessons. To show you how – nobody knows about the ordeals you have had with your past clients/customers. And this often happens because of miscommunication. I am sure you have learned your lessons from this. By talking about these learnings, you demonstrate your openness. Plus, you are bringing a real story that has lived with you. Real stories are charming because everybody wants to know what happened and who you really are. That’s what it means to show and not just tell. 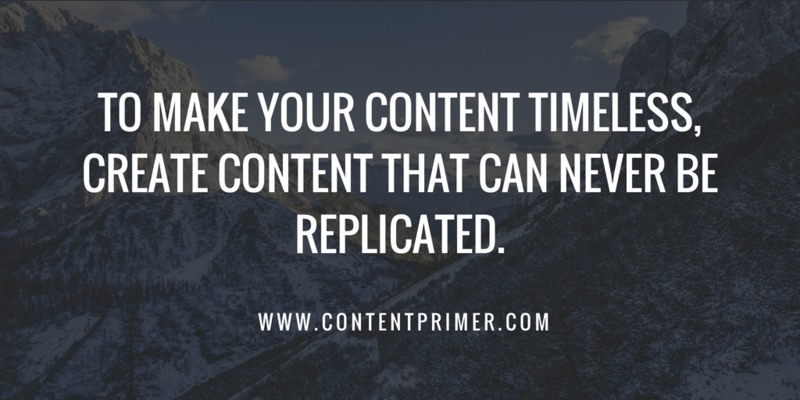 Help your content with the what happened factor and you succeed in eternalizing it. The web is filled with content that beats around the bush. The same thing is said over and over again in a different way employing different patterns in the name of content repurposing or content upcycling. It is a waste of your reader’s precious time if you are telling them what they already know. Right? Let’s look at an example. You often see blogs that start talking about salt harvest process when the headline clearly is meant to give you a recipe for microwave baking! In the name of long-form content and comprehensiveness, you might be boring your readers. Don’t do that. Do your readers a favor, save them that unwanted stress! If the gurus tell you to write a minimum of 2000 words and the content you are creating doesn’t stretch that far, then do not write 2000 words just to keep up with a random rule. Write for your readers, not for rules. Creating flubby-dubby conundrums or writing lengthy unwanted stories, stuffing images unnecessarily, throwing in stats at the drop of a hat makes your content forced and coerced. So, avoid all of this. People are (enough) stressed with information overload, bring a breath of fresh air with content that lightens them up. Grammar syntax exists for a reason. Bumbling with syntax brings unwanted confusion. Imagine this for a moment. Let’s say that the plural form of a mouse is “mouses”. Did this just mess with your head? You have been wired to call more than one mouse – mice (Although I don’t agree with the logic here because etymology can sometimes be insane). You instantly look down upon a piece of writing that might have a mice-mouses error like this one. Moreover, typos can get annoying as silly errors tend to change the meaning of a sentence completely leaving the reader baffled and thwarted. But, in a quest to obsess over grammar, syntax, and spellings, don’t ignore the big work. Adam Connell, the chief wizard behind Blogging Wizard goes on to say – “We’re only human, so mistakes can and will happen. That said, when people find typos, it can cause them to question the credibility of a website – particularly in sales copy or any page that someone would use to evaluate a buying decision. So, if you do not want to risk your position, it is best to avoid typos and severe grammar errors that question your credibility. We write and create content to communicate what we know and express what we think. This is just one side of the story. 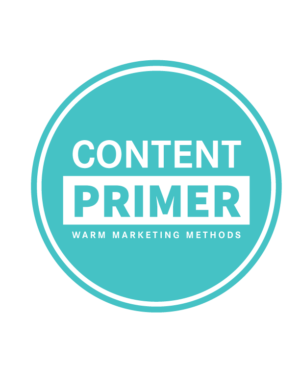 Your readers read your content because they want to learn, know, make aware, be informed and ultimately feel how they want to feel. That is why, it is important to write content that influences, and not just informs. No doubt Henneke is the best of writers. She knows how to evoke your senses. Look at the choice of her words – piercing precision! Isn’t that incredible? Your word selection makes or breaks your content. Likewise, no one enjoys being under the shadow of unimpressive words and flabby stories. More about this in the next section. Are stories overdone? We all know that marketing pushes stories like it’s the bloodline of the marketing system. Stories are being pumped into content like never before. But, what we see today, especially in email newsletters is a bunch of irrelevant, irreverent stories with a connection so weak that it makes me gag. What should you be doing instead to make your content NOT-boring? Cut the crap and deliver what is needed. Even if you have to break rules. When the whole world is drumming about using stories in your content, it is alright to go without it if you do not have a worthy story that connects. I have seen emails with subject lines like “My mother’s death anniversary + Fast action bonuses”. I find this kind of subject lines obnoxiously careless and insensitive. You too, right? Capitalizing on your mother’s death and mixing business by writing a story in the email about how loving your mommy was – an absolute NO! It is a huge turn-off and people unsubscribe. You don’t have to bring your mother’s death anniversary to build context. It is off-putting. So please, avoid using such click-bait headlines and cheesy marketing tactics. It is 2018! If you promise something in your headline, make sure you keep your promise by delivering what you are supposed to. Tip: Check how to write promising headlines and also keep​​​​​​​ the promise. 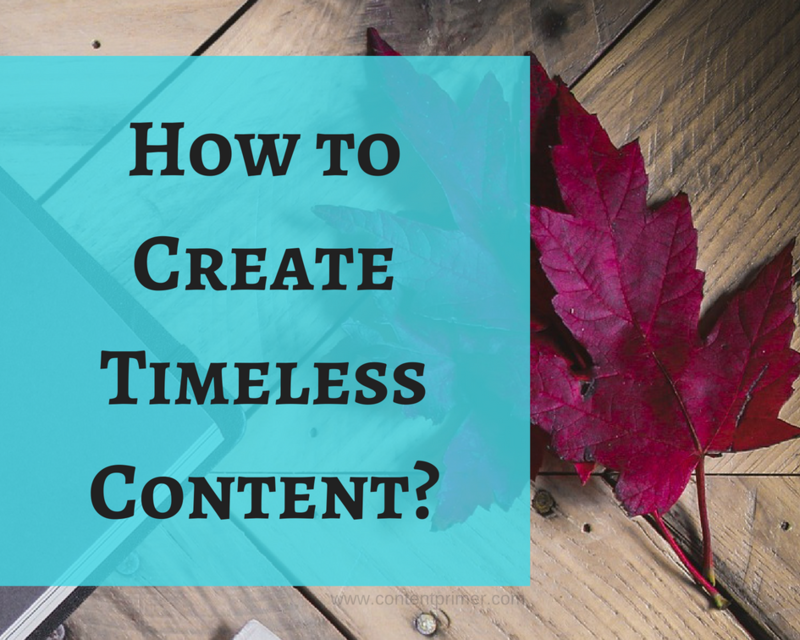 Timeless content is – exclusive, consumable, grammatically correct, evoking and in context. What do you do to make your content evergreen? Do you have anything else to add to this list? Tell me in the comments below.